Elizabeth Pilliod is an authority on 16th c Florentine art. She has published Italian Drawings. Florence, Siena, Modena, Bologna, with Per Bjurström and Catherine Loisel, Stockholm: Nationalmuseum, 2002; Pontormo, Bronzino, Allori: A Genealogy of Florentine Art, London and New Haven: Yale University Press, 2001; and numerous articles and essays. She contributed to the 2010 exhibitions on the artist Agnolo Bronzino in New York (Metropolitan Museum of Art) and Florence (Fondazione Strozzi). She has been the recipient of an NEH short-term grant and a year-long Fellow of I Tatti, the Harvard Center for Italian Renaissance Studies. She is currently editing Art & the World: Global Visions, co-author with Thomas DaCosta Kaufmann, Pearson Publishing, forthcoming 2019, the first completely global history of art textbook. Her monograph Pontormo at San Lorenzo: Art, History & Ritual will be published by Harvey Miller in 2019. She collaborated on the exhibition Miraculous Encounters: Pontormo from Drawing to Painting, to open May 2018 at the Palatine Gallery, Palazzo Pitti, Florence, and thereafter to travel to the Morgan Library & Museum, New York, and the J. Paul Getty Museum, Los Angeles in 2019. 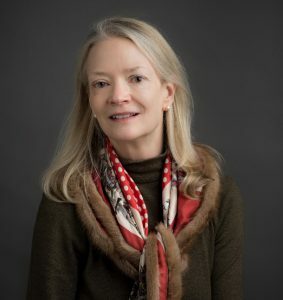 She has taught at Oregon State (Associate Professor) and been a visiting professor at Syracuse University in Florence and Princeton University. She teaches ancient Roman & Greek art, Medieval Art & Culture, Renaissance Art, Baroque and 18th century Art, and Museum Studies. Page last updated by Department of Fine Arts at 1:45 pm December 3, 2018 . This page was printed from http://finearts.camden.rutgers.edu/art-program/art-faculty/elizabeth-pilliod/ at 2:42 PM Friday, April 26, 2019.